COLOGNE, Germany, 2018-Mar-21 — /Travel PR News/ — Lufthansa Group, as part of its ongoing efforts to digitalize the travel world, has launched hasslefree, one-step biometric boarding utilizing facial recognition. 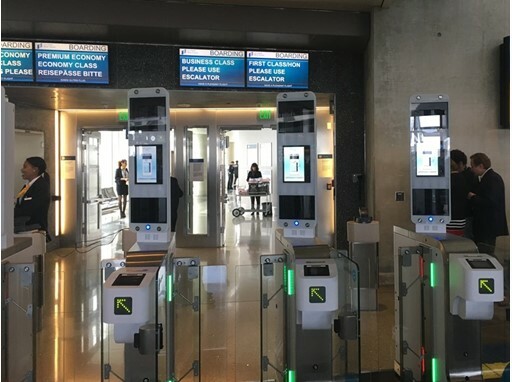 This innovative pilot, enabled through a collaboration with Lufthansa Group’s longstanding IT partner, Amadeus, as well as U.S. Customs and Border Protection (CBP), Los Angeles World Airports Authority (LAWA), and Vision Box, is now available at Los Angeles International Airport (LAX). During initial trials, Lufthansa received very positive feedback from guests and boarded approximately 350 passengers onto an A380 in about 20 minutes. This entry was posted in Airlines, Airports, Flights, Travel, Travel Services, Travel Tech, Travelers and tagged Amadeus, biometric boarding, Bjoern Becker, facial recognition, Guido Haarmann, John Wagner, Los Angeles International Airport, Lufthansa Group. Bookmark the permalink.